Zambia : Is the economy stupid, Mr. President? Home Columns Is the economy stupid, Mr. President? This article and analysis is a result of my dismay at the apparent lack of attention to the economic problems that Zambia is facing by President Edgar Lungu as the Chief Executive of our country. I was amazed by the President’s recent statement that he was far ahead of his opponents as far as winning the 2016 election. This was further supported by the PF secretary General, Davies Chama’s statement that the ruling Party will win next year’s election even if the economy does not improve. As a follower of international politics, elections and its relationship with the economy, I wondered where the President’s confidence was coming from when the economy is in such dire straits! I then recalled the phrase “It’s the economy, stupid,” coined by James Carville, President Bill Clinton’s campaign Manager in 1992 during the USA Presidential election when running against the popular incumbent George Bush senior. “It’s the economy, stupid” phrase was asking whether the economy doesn’t matter in seeking re-election as it was not being discussed as a main campaign issue but rather the Gulf War of 1991 that USA won and made Bush senior popular. I am asking the same question in our Zambian context. The total government debt domestic and foreign has increased by $6.55billion to about $10.05billion from $3.5 billion this will be an increase of 187%. Trade deficit has gone up as we are importing more than we are exporting and in May it was $300million. The business confidence in the country has gown down as the economic management of the country is viewed as flawed and incompetent. The rating Agencies like Moody’s, Fitch, Standard and Poor have all down graded Zambia current rating is B which means it is not a good investment destination as it is five levels below investment grade. The reality is that the Zambian opposition is ineffective, fragmented and led by people with big egos who cannot work together for the sake of the country and are all only interested in promoting themselves and not serving their country. In conclusion, it is apparent that the PF government and the President think the economy is stupid ; in other words, it is not important in order for them to win 2016. Improving the economy is not their priority. I believe this mentality is partly because they are individually comfortable with government salaries, allowances and per diems and they are not feeling the pain and suffering that ordinary Zambians are experiencing as a result of unemployment, high cost of living, load shedding, kwacha depreciation, high interest rates, farmers in rural areas stuck with maize as Government is not buying their produce and high fuel, transport, rentals costs and son and so forth. It appears that the PF is obsessed with politics and their phrase : “politics is about numbers” . They are more concerned with having more people joining them from other political parties. They feel this is the best insurance policy to winning them next year’s election and improving the economy is secondary. They have concentrated so much on politics that they think, come election time, they will merely point to the infrastructure projects – which they have done at great cost to the Country in terms of huge public debt – and they will win the 2016 election. I would advice them that the economy is not stupid. In 1992, the USA economy was in a bad shape but President George Bush Senior was enjoying 90% approval rates following a well executed and supported first Gulf war – Operation Desert Storm- in 1991. The Republican Party and the President were confident that they would win the 1992 election but they were shocked to lose. Bill Clinton’s compaign was all based on the economy- budget deficit, big government, public debt, fair distribution of national cake etc. This is a lesson that any politician can ignore at his own peril. Recently in Nigeria, incumbent Goodluck Jonathan lost mainly due to poor economy less so due to security and corruption. President Lungu appears to be over confident about winning the 2016 election just as Senior George Bush was but if the Opposition maps up a strategy based on the economy and they get the message across t o the electorate, they may just shock the PF. The economy is not stupid Mr president, but the opposite maybe true. So how is the inverse worded? Please spell it out for us ignoramuses! I think the question, “Is the economy stupid?” and the phrase, “It’s the economy, stupid” are in two totally different realms. What do you expect from a man who has never run a Kantemba the whole lot of his life now he should manage our national economy. Shame to the Zambian eligible voters! We are the ones who are stupid. MMD lost power with the best economic parameters of any government since 1988 Mr Nkonde. Kaunda won in 1988 at the height of coupons and crippling national debt. Mwanwasa won narrowly against Mazoka. It simply means that the Zambian electorate are unpredictable. They do not vote with their brains, they vote with their hearts. If they love someone, they will vote for him, otherwise how can you explain Sata’s winning against Banda, when Sata was a major player in all the disastrous governments in the history of Zambia? People loved him. So far, they do not love any of the opposition political leaders as much as they love Lungu. Tough! That is exactly what I wanted to say: Positing that the opposition does not have a strategy or a well crafted message to plant worms about the failures of the incumbent so that they can vote them out of office is missing the central problem. I will be blunt: Zambians are not serious. They don’t care about themselves and the future of their children. Slice it whichever way, you will end up with the same result. Until the citizenry begin to understand that the politicians are not their rulers but their servants, they will continue supporting candidates not because of what candidates can do for them, but who the candidates are. This practice will continue for various reasons: Candidates are a mirror reflection of the electorate. Excellent article. l wish debates for plot 1 could be around the issues highlighted here. At least someone is thinking and worring about the country. Its not justb Lungu and his PF that is more concerned with politics than the economy. Its all our politicians unfortunately. …in reference to Zambian political climate…PF may just be spot on if at all they are obsessed with the political phrase…’politics is about numbers’….and may definitely win them 2016…unfortunately that is a bitter truth as far as African and in particular Zambian politics are concerned…. …let us broaden the meaning of literacy …instead of restricting to just read and write…let us include understanding of issues the author has alluded to…GDP growth rate…foreign and domestic debts….budget deficit…you will all agree with me that 70% of the electorate are in illiteracy bracket…and those are the people who are easily mobilised and who go in numbers to vote than the other group…. …ever wondered why political campaign rallies are held in Chawama…Mandevu…Chiwempala…and not Rhodespark… woodlands….?? ?…there are two predominant governance systems…western democracy and dictatorship…we certainly require a third version to suit African countries especially Zambia..
1)….if only there was a criteria to interview a would be voter and pass a certain set threshold ‘line'(demonstrate an understanding of critical governance issues) in order to qualify to vote…than just age and citizenship….half of the current MPs would not have been in the house that I can assure you…. 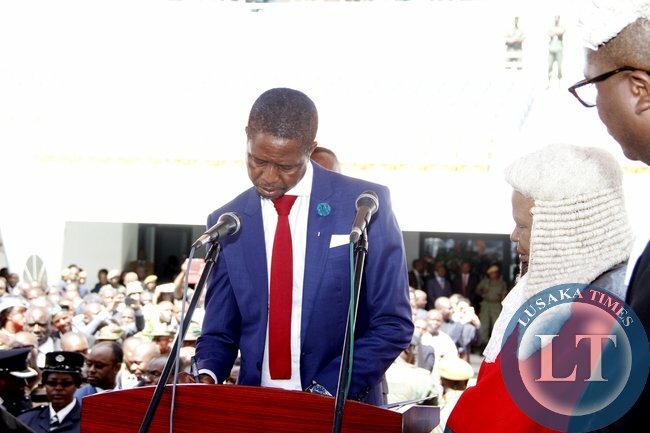 If it was in the first world president Lungu could not have been allowed to stand as president because of what he did in his law practice chewing clients money that is serious he can not be trusted at all his fingers are long. Just look at the people he has surrounded himself with all very dull people: champ, mum I pairing, kambwili to name a few. Anything is possible in Zambia, tuka tekwapo na Kumbwa. The problem is the stubborn and adamant adherence to neoliberal economic policies. Or, however bad the advice, they are going to do whatever the IMF/World Bank says they need to do. The problem is, that the results make today’s Zambian economic policies seem absolutely Conservative by comparison. Where the Zimbabwean government has a budget overrun of $500 million, the Zambian government has managed to add BILLIONS to the state debt, and they only want more. I say ENOUGH! End the relationship with the IMF today. Get together with SADC, the BRICS, and work out alternative currencies. In fact, locally backed and accountable currencies may be the way out of this mess. Critique, I have businesses abroad and working multimillion dollar projects here! All you think is about jobs! I last worked for somebody 20year ago, I am an employer and self employed! If u have nothing sensible its better you just shut up! Get a life! The problem is that in Neoliberal World, ‘jobs’ are now the justification for not paying taxes and externalising all costs on the Zambian taxpayer. Has been since Mwanawasa. You see the neoliberals bought the media, and they can now spout any lie over and over again. They have convinced themselves that employers are ‘job creators’, instead of profit maximizers who would fire anyone if it would make them more money. The real job creators are the customers and clients, who are supplying the financing that employees are paid from. It is a scam. And we need to hold the guilty accountable, locally and internationally.